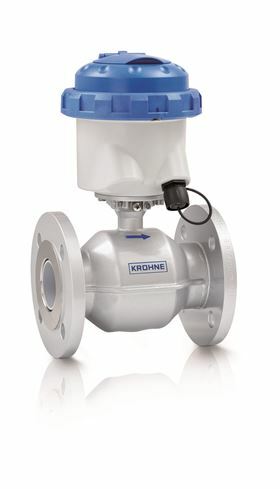 Krohne’s Waterflux 3070 battery-powered water meter will be manufactured at the company’s new facility in Beverly, MA. Developer and manufacturer of measuring instruments for the process industries, KROHNE, has announced that it has begun manufacturing the updated WATERFLUX 3070 battery-powered water meter at its newly opened instrument manufacturing and calibration facility located in Beverly, MA. The company says that the Waterflux 3070 is the first all-in-one water meter with integrated pressure and temperature sensor. It is designed for installation in remote locations and has integrated diagnostics, a long battery lifetime and remote communication options. The updated model offers a mains power option with battery backup and a Modbus RTU communication option for transmission of readings, meter status, and alarms. For locations where mains power is available, the Waterflux 3070 is available with an external FlexPower unit to connect the meter to a 110…230V AC or 10…30V DC power source on site. The FlexPower module also has an internal battery that serves as a battery backup if the external power source fails. The new integrated pressure and temperature sensor option means that Waterflux can be used for a wide variety of drinking water network tasks, including pressure monitoring, maintaining the water balance, and district zoning (DMA). It can also be used for leak detection in drinking water networks when comparison of pressure and flow values is used as the leak detection method.